What are your options for booking an appointment? Your ProHealth medical professional will book your appointment(s) and help you get you set up for online booking. They will also handle your payments. 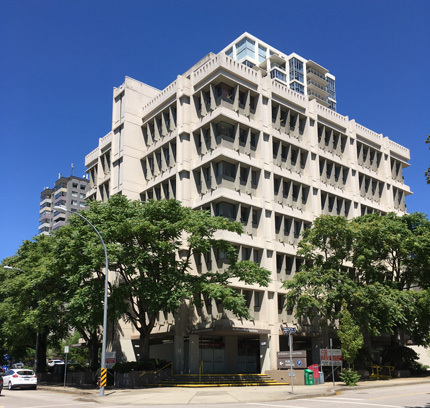 ICBC Claims: What is Standard Clinic Policy? Although we will still be treating ICBC claims, we will not be submitting billing to ICBC on behalf of claimants. If you have an open claim, you will be required to pay the regular amount for your treatment, then submit your receipts to either your lawyer or your ICBC adjuster, in order to be reimbursed for their portion of the payment. Why is there a consent form for RMT services? As of 15 January, 2019, there’s a small change being implemented to the RMTs’ Standard of Practice in BC. Each time an RMT treats a brand new person, that person will be required to sign an Informed Consent form at the time of their first treatment. After signing the initial consent form, verbal consent will be sufficient for future treatments, unless the treatment plan is significantly altered (there’s been in a motor vehicle collision, for example, or an entirely new reason for seeking massage therapy). You will be required to sign an Informed Consent form for each RMT you see at our clinic. What Should I Know if I have a Treatment Scheduled after 6pm? The entry doors to our building automatically lock at 6pm. If you have a treatment that starts after 6pm, please wait downstairs. Your therapist will come down to let you in. We are on the 6th floor, and have two elevators to help you get there (and some perfectly fine stairs, if you’re inclined). There is free 2 hour street-parking on 7th Street, on the river-side of Fifth Avenue. There is free parking on Ash Street (between 7th and 8th). Immediately behind our building, there is a pay-parking lot ($1.50/hour, credit card only). There are two small outside lots, and an adjacent indoor lot; please note that if you park indoors, the gates close at 6 p.m. The border of block that our building is on is metered street-parking (coin or card). For payment, we accept cash and credit cards. Where are the washrooms located? Do I need a key? There are men’s and women’s washrooms on every floor. The key required for entry is located at our front desk. Is there somewhere I can park my bike to attend the clinic? Patients are welcome to park bicycles on the rack located outside the building.